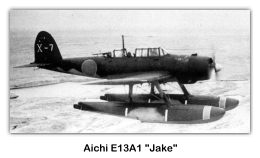 The Aichi E13A (Allied reporting name: “Jake”) was a long-range reconnaissance seaplane used by the Imperial Japanese Navy (IJN) from 1941 to 1945. 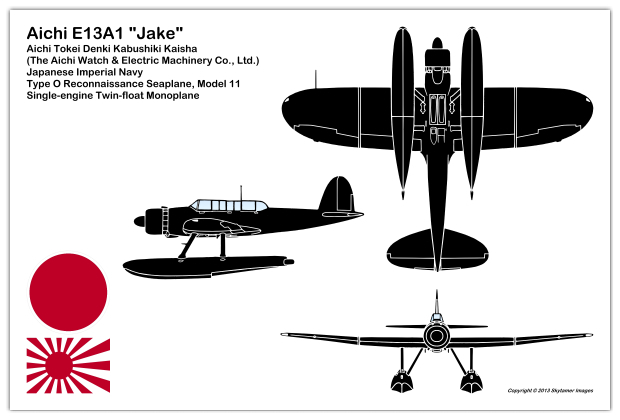 Numerically the most important floatplane of the IJN, it could carry a crew of three and a bombload of 250 kg (550 lb). 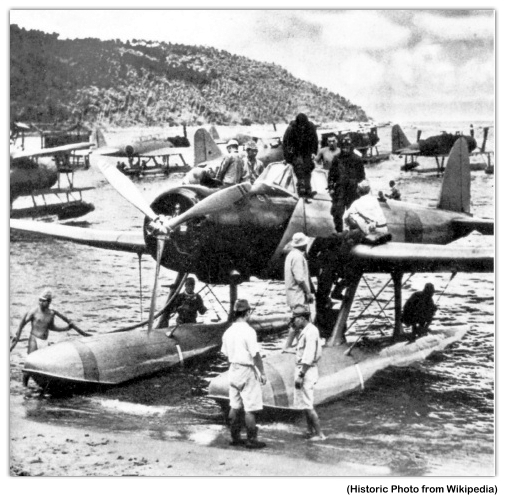 The Navy designation was “Navy Type Zero Reconnaissance Seaplane”. In China, it operated from seaplane tenders and cruisers. 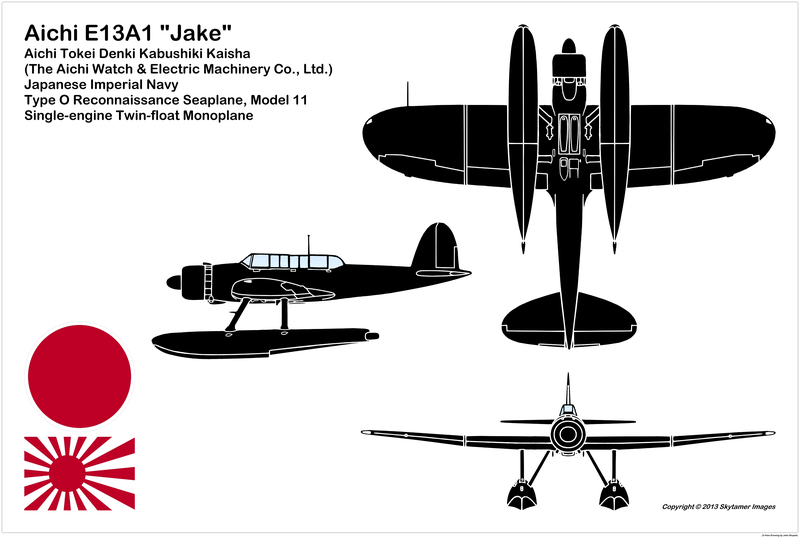 Later, it was used as a scout for the “Attack on Pearl Harbor”, and was encountered in combat by the United States Navy during the “Battles of Coral Sea” and “Midway”. It was in service throughout the conflict, for coastal patrols, strikes against navigation, liaison, officer transports, castaway rescues, and other missions, along with some Kamikaze missions in the last days of war. 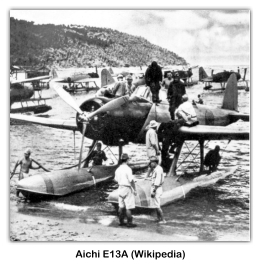 Eight examples were operated by the French Navy Air Force during the First Indochina War from 1945-1947, while others were believed to be operated by the Naval Air Arm of the Royal Thai Navy before the war. One example captured by New Zealand forces was flown by RNZAF personnel in theater, but sank and was not repaired after a float leaked. 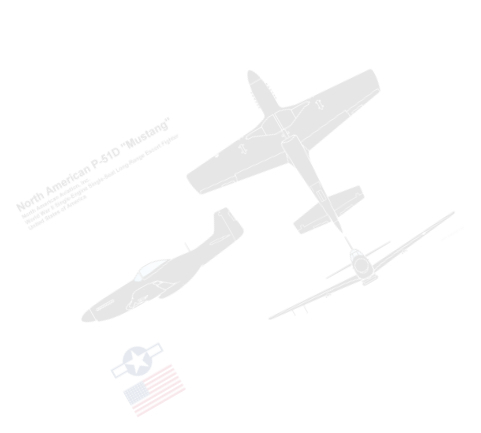 E13A1: Prototypes and first production model, later designated Model 11. 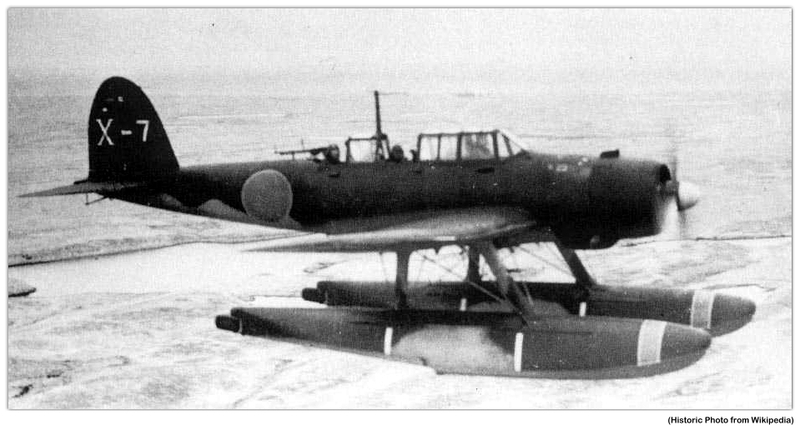 France: French Navy Aeronavale; French Air Force - Captured Japanese aircraft.